07/03/2007 - Requirement for employer to assess potential hazards of handling trailer debris to provide necessary PPE and hazard communication information to affected employees. Title: 07/03/2007 - Requirement for employer to assess potential hazards of handling trailer debris to provide necessary PPE and hazard communication information to affected employees. Thank you for your letter to the U.S. Department of Labor regarding drivers sweeping trailers. It has been forwarded to my office in the Occupational Safety and Health Administration (OSHA), Directorate of Enforcement Programs, for a response. This reply does not address the other letters you sent to the Department, which do not involve worker health or safety issues. This reply letter constitutes OSHA's interpretation only of the requirements discussed and may not be applicable to any question not detailed in your original correspondence. We have paraphrased your concerns below followed by our response. Scenario: In your letter, you expressed concerns regarding drivers removing and disposing of dust and debris from over-the-road cargo trailers. In a phone call with a member of my staff, you explained that the drivers in question work for a trucking company that picks up cargo from shippers and delivers it to receivers. Your letter states that shippers often have the drivers sweep out empty trailers between loads and that the drivers, unaware of the nature and content of the previous cargo, do not know if they are being exposed to hazardous substances. You indicate in your letter that drivers are not provided any personal protective equipment (PPE) or respiratory protection and that there may be potential hazards associated with debris from multiple trailers being dumped into the same dumpster, allowing for the mixing of unknown materials prior to disposal. Finally, you propose that receivers sweep out the trailers after unloading their cargo because they are better equipped to perform this work safely. Response: 29 CFR 1910.132, Personal Protective Equipment, requires an employer to assess the workplace to determine if hazards, including chemical hazards, are present, or are likely to be present, in a manner capable of causing injury or impairment in the function of any part of the body through absorption, inhalation, or physical contact. If such hazards are present, or are likely to be present, the employer must select, and have each affected employee use the types of PPE, such as eye, face, or head protection, that will provide protection from the hazards identified in the hazard assessment. In addition, OSHA's respiratory protection standard, 1910.134(a)(2), requires employers to provide respirators whenever necessary to protect the health of employees. Therefore, in your scenario, the employer, who presumably is aware of the nature and content of the cargo transported by its drivers, is responsible for assessing the potential hazards of trailer debris and providing the necessary PPE and respiratory protection when drivers are assigned such tasks. If hazardous chemicals are involved, the employer may also have to comply with OSHA's Hazard Communication Standard (HCS), 29 CFR 1910.1200, the purpose of which is to ensure that information about chemical hazards is transmitted to employees through labeling, material safety data sheets, and training. Paragraph 1910.120(q) of OSHA's Hazardous Waste Operations and Emergency Response (HAZWOPER) standard covers emergency response operations for releases of, or substantial threats of releases of, hazardous substances without regard to the location of the hazard. An "emergency response" under the HAZWOPER standard is a response effort by employees from outside the immediate release area or by other designated responders, e.g., local fire departments, to an occurrence which results, or is likely to result, in an uncontrolled release of a hazardous substance. Based on the limited information in your letter, it does not appear that the task of cleaning out trailers would require an "emergency response" under HAZWOPER and, therefore, that standard would not apply. Employers who are transporting hazardous materials must comply with applicable U.S. Department of Transportation (DOT) HAZMAT regulations. For more information on HAZMAT transportation regulations, you may wish to visit the U.S. DOT, Pipeline and Hazardous Materials Safety Administration (PHMSA) web site at http://www.phmsa.dot.gov. The PHMSA has responsibility for the safe movement of HAZMAT by all modes of transportation. Also, the Environmental Protection Agency (EPA) has jurisdiction over the disposal of solid waste that includes hazardous materials. 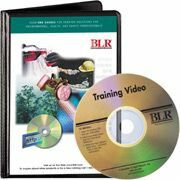 Employers responsible for disposing of these materials must be sure they are meeting any applicable local, state, and federal disposal regulations. In response to your proposal to have the receiver perform all of the debris removal rather than the driver, OSHA does not require or prohibit such arrangements. However, as stated above, each employer must do a hazard assessment and, based on that assessment, provide the necessary PPE and hazard communication information to its employees.